Do you know your rights in the state of Missouri when you or a loved one has been bitten by a dog? Let the Kansas City dog bite attorneys at Nash & Franciskato help you understand who might be liable for your injuries. Missouri uses what is called a “strict liability” rule when it comes to dog bites. 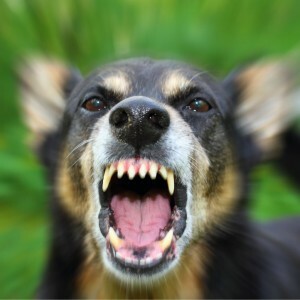 This means that the dog’s owner is liable if the dog bites a person, even if the owner took reasonable care to restrain the dog or otherwise prevent the attack from occurring. Some states use a “one bite” rule. This requires a dog’s owner to have known the dog would likely bite in order to be held liable. This is not applicable in the state of Missouri. The strict liability rule in Missouri only applies to injuries caused by dog bites. There are other injuries that dogs can inflict simply by jumping on you or even knocking you down. In these situations, the dog bite attorneys at Nash & Franciskato would build a standard negligence case against the owner of the dog showing he or she failed to use reasonable care and, as such, resulted in your injuries. Provoking a dog includes things such as teasing or abusing the dog, for instance, poking it with a stick or pulling its tail. You must also be either on public property or “lawfully” on private property. That means, if you are trespassing and get bitten, the dog’s owner may not be liable. If provocation and trespassing are proven, it does not mean you do not have a claim. If you are partly responsible for the injury, Missouri law still allows you to pursue a claim under comparative negligence. This just means that any damages will be reduced by the amount of fault assigned to you, the injured party. For example, if you are found to be 50% responsible for the injury, your total damages would be reduced by 50% leaving you with a 50% award. Missouri does not have a Dangerous Dog Statute. Some states have what is known as a “dangerous dog” statute that imposes special restrictions on dogs that are labeled dangerous or vicious and may require owners to keep it securely confined, removed from the city or even destroyed. In Missouri, an injured person has five years under the state’s statute of limitation to bring a dog bite case to court, which usually starts running on the date of the injury. $80,000 settlement for a 10-year old girl who was bitten in the leg by a neighbor’s dog when walking home. $55,000 settlement for a 16-year old girl who was bitten in the face by a dog at the adoption facilities at a Petco store. What are the dog bite laws in Missouri? The owner or possessor of any dog that bites, without provocation, any person while he or she is on public property or lawfully on private property, including the property of the owner or possessor of the dog, is strictly liable for damages suffered by persons bitten, regardless of the former viciousness of the dog or the owner’s or possessor’s knowledge of such viciousness. Owners and possessors of dogs shall also be strictly liable for any damage to property or livestock proximately caused by their dogs. If it is determined that the damaged party had fault in the incident, any damages owed by the owner or possessor of the biting dog shall be reduced by the same percentage that the damaged party’s fault contributed to the incident. The provisions of this section shall not apply to dogs killing or maiming sheep or other domestic animals under section 273.020. Any person who is held liable under the provisions of subsection 1 of this section shall pay a fine not exceeding one thousand dollars. The remedies provided by this section are in addition to and cumulative with any other remedy provided by statute or common law. Yes. The state of Missouri has specific laws regarding dog bites. In addition to these laws, most local communities will have animal laws covering bites, leash laws, and vaccinations. Most communities have local leash laws that require dogs to be on a leash unless confined to a house or fenced yard even on your own property. The attorneys at Nash & Franciskato will contact your local humane organization or animal shelter so that we know what applies to your specific dog attack. In some states, a dog’s owner is not held liable for the first bite the dog inflicts. Once an animal has demonstrated vicious behavior, such as biting, the owner can be held liable. The “one bite” rule is not applicable in the state of Missouri. Can posting a "Beware of Dog" sign offset any liability if a dog bites? A sign can help to alert others of the presence of a dog. However, when a dog attack occurs, the specific facts will determine liability. Do I have a claim if I was petting the dog before it attacked? Yes, as long as you were not provoking the dog. Some examples of provocation would be hitting the dog, pushing a stick at the dog or its face, or yelling at the dog.